July 4th is the height of the outdoor season. And even though it is mid-week this year, we still want it to be special. But what’s a body to do, if we don’t have a swimming pool as the center of a summer splash bash? Even if you could fit a pool in your budget, there’s no way it could be installed in time. One solution is, of course, a hot tub. Granted you will need a licensed electrician to properly connect it up. But with that done, and some gravel put down for drainage, in the time it takes teenage girls to choose bathing suits, you can have a portable hot tub installed in your yard. With a minimum of effort and time, a hot tub will immediately make your yard a terrific place to fire up the barbecue on July 4th and have friends over. And if you want room in the spa for a crowd, the large-size Bullfrog Spas we sell (the A8 model) can accommodate up to 8 adults. And as for kids, they can all pile in with room to spare. 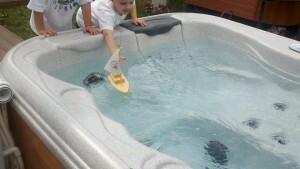 Will I Use a Hot Tub After July 4th? Sure, you might think. 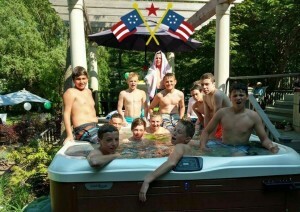 A hot tub will be popular over July 4th. But is a hot tub right for me long-term? How often will I use it? Will it compliment my lifestyle? Well, if our own personal experience, that of our many clients, and the continued growth of spa sales are any indication, we can say this: if you find the spa that fits your way of enjoying the outdoors, and any individual therapy needs, then, Yes! It’ll be right for you. And you and your family will use it. 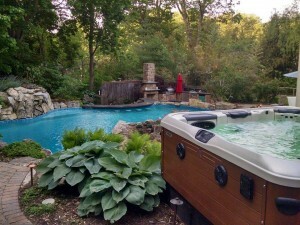 At Best Hot Tubs, we’ve learned through years of experience, that it may take a little interview with prospective clients, but, in the end, there is always a perfect spa model (and/or custom installation) that will more than satisfy their needs and lifestyle preferences. You can even take a wet test here in our showroom. But if all this doesn’t convince you, you can always rent a hot tub for July 4th. And, yes, we offer those as well. Don’t get us wrong. We’ve got nothing against swimming pools. 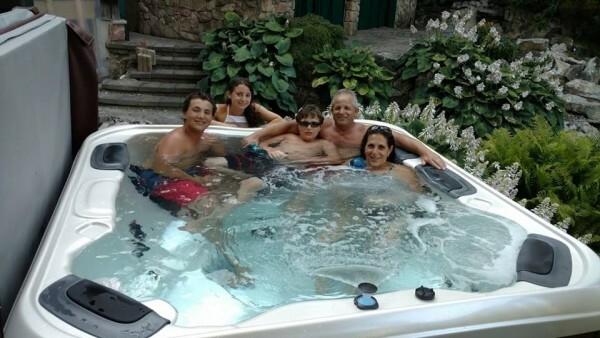 Some of us at Best Hot Tubs have them at our homes, and love them, including our company’s owner, Bill Renter. But. A pool will take more planning than is possible before July 4th. 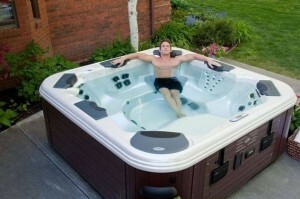 Of course, if you already have a pool, you may find you’d like a hot tub to extend the outdoor season. You can operate your portable spa separate from the pool — 12 months a year. 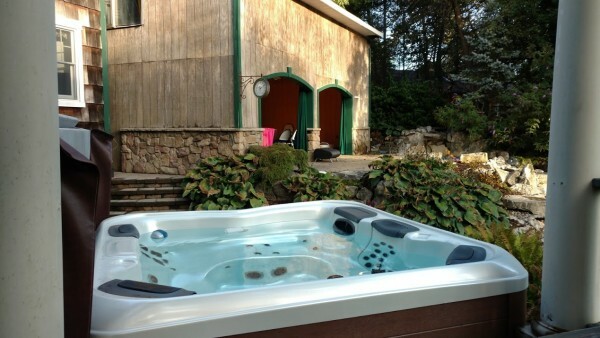 As for maintenance, our staff at Best Hot Tubs (Westbury, Farmingdale, Windham, NY) can give you a quick tutorial on how to keep your spa water clear, sparkling, and odorless. Our teams also do regular maintenance for those who wish it in order to keep water pristine. For example, this photo is of a Bullfrog Spa that we maintain regularly in the Huntington, NY area. 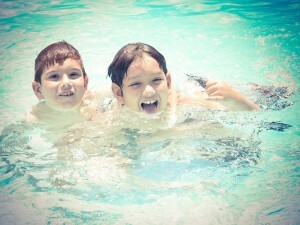 Like these Best Hot Tubs’ clients, long after flags have been put away and the left-over food and drinks have been stored, your family will enjoy lots of together-times in your new hot tub. So! For a fraction of the cost of a swimming pool, you can make a big splash in time for the 4th — something else your family can celebrate. 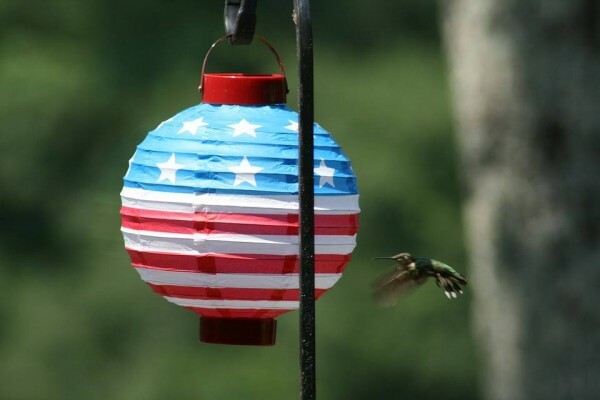 Here’s to a hummingbird-of-a-good 4th!